The jacket for my book, coming out April 10, 2018. I have a hunch that This Land Is Our Land will be viciously attacked. This hunch comes from two places: 1. A review of my book by National Parks Traveler, a website devoted to covering issues related to parks; and, 2. My Backpacker Magazine article on Scotland’s right to roam. 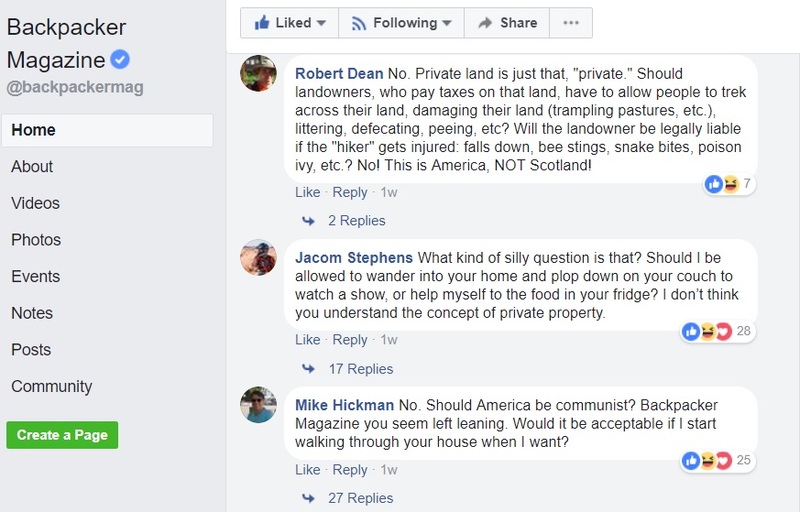 The review was positive and I was happy with how the Backpacker article turned out, but it was in the Facebook comment sections for these articles where my ideas were angrily dismissed and I was personally attacked. Comments on my article on Backpacker's Facebook page. 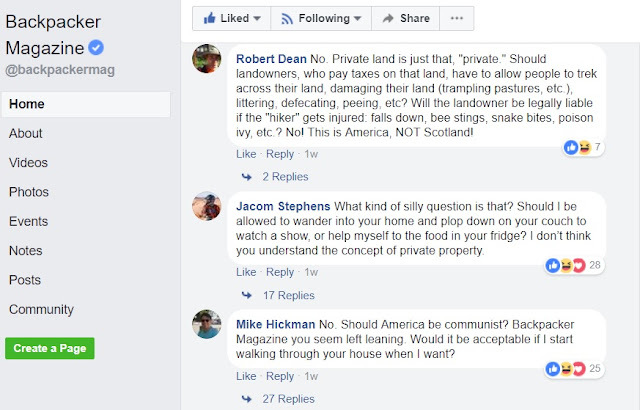 The somewhat alarming thing about these responses is that these people (people who love parks, the outdoors, and hiking) should be my base! They should be my supporters! Yet I’m getting loud and really cranky opposition from them. What’s it going to be like when libertarians, big landowners, and the far right hear of my idea or read my book? It’s not going to be pretty. You might think that I’m upset by all of this. Not one bit. I knew that my idea — that citizens should be able to responsibly access the great bulk of our nation’s lands and waters — would be controversial. 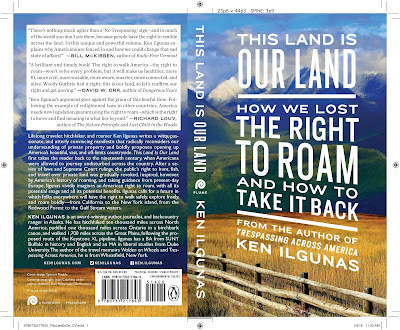 And I realize how the enactment of a right to roam law, should it come to that, is a long way away. So I’m okay if my book doesn’t automatically lead to legislation. 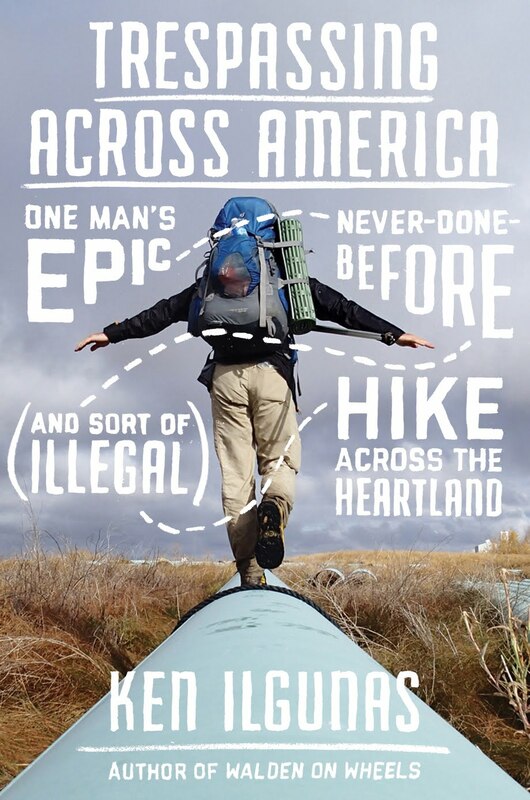 I’m okay if the right to roam doesn’t happen in my lifetime. I'm okay if a lot of people hate the idea at first. 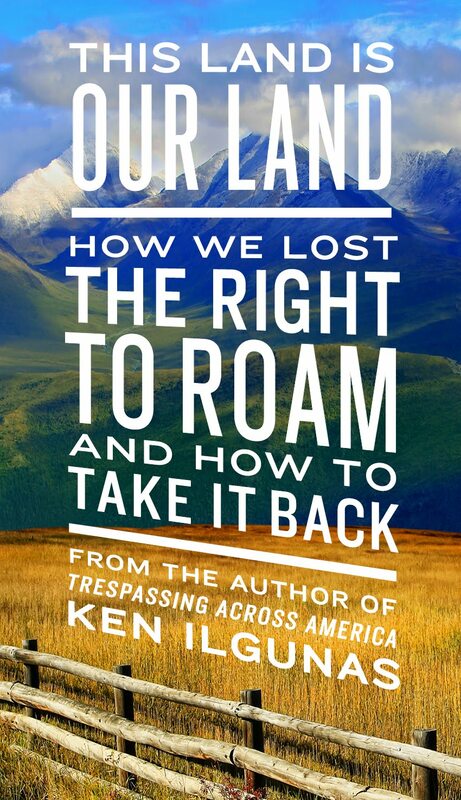 I know the right to roam is right the same way I know universal suffrage, universal healthcare, and democracy are right. 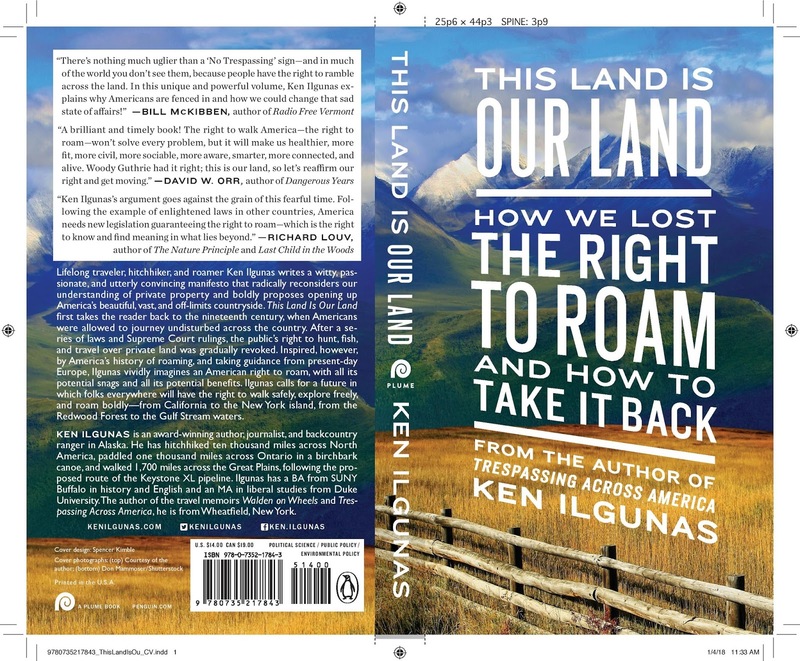 I know the right to roam is the right policy for an advanced country devoted to equality, good health, and justice. So I’m not worried about being wrong. And I’m not worried about a few uninformed, if earnest, comments from Facebook users (who might not be so critical if they read my book because I do indeed address all of their most common concerns). The only thing I’m worried about is step one in Benn’s progression: Getting ignored. I’d prefer that I skip ahead to steps two and three, when everyone can call me mad and dangerous. Honestly, the best thing that could happen for the right to roam is for me and my book to get burnt at the (metaphorical) stake. We should die the heretic's death: that is, die loudly and symbolically, surrounded by naysayers chanting for blood. This way, the idea can go as far as it can. It can reach as many eyes as possible. Then, at a later date, once we’ve all calmed down, once the idea has had time to slowly and more gently seep in the collective consciousness, maybe we can begin an earnest debate about the right to roam. First comes blood, then comes bills. There's not just anger and hate. There's also agreement and encouragement - at least from one person; me. A fee roaming Dutch guys from Amsterdam. So stay the course, keep on roaming and keep on writing. I am so glad you are bringing this issue up. I live in Chicago where the Lakefront is "forever open, free, and clear". In many places the "best" views are for the wealthy of for those that were there "first". Just as grazing land starts to feel private to those who have used it,we would all have more investment in places we could pass through or by without threat of being arrested or killed. I hope this idea gets all of the consideration it deserves. Looking forward to this book. I am currently half-way through Walden On Wheels and have enjoyed it immensely. Thanks for your fresh insights! 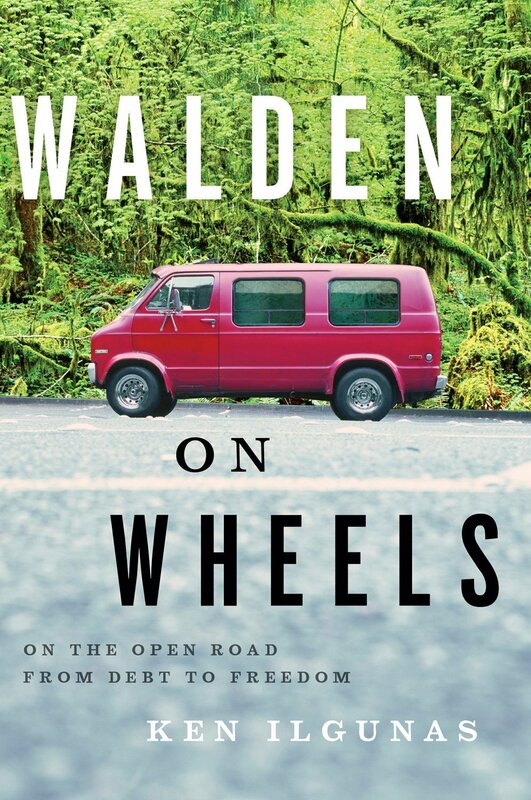 I just finished reading, "Walden on Wheels." It's a remarkable story. I agree with you about our culture of debt and people living lives they don't enjoy. I was impressed by your friend, Josh, who quit his job because it was the right thing to do, and blew the whistle on that college. I loved reading about your wilderness adventures. I found it interesting why you decided to return to university, and how that lifestyle wasn't enough for you. Learning is such fun. I was raised amid concrete and freeways in Southern California. I moved to Canada when I was 17 and immediately felt at home. I had been born there, but we left when I was six. Now, my daughters and grandchildren all say they couldn't imagine living somewhere with no mountains or forests around them. Canada just finished creating 24,000 kilometer bike and walking path all across our country. I'm so glad about that. In our city of Kelowna, we live by Okanagan Lake, where there is a law there be access all around the lake for the puplic to walk. The home owners started building docks and fences so people couldn't walk near their property and the city did nothing about it. But this summer ther was a protest and I think they will finally make those owners obey the law.